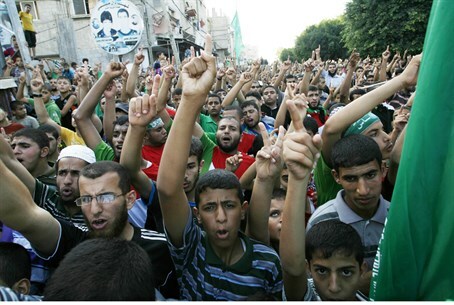 'This is a natural response to the crimes of the occupation and invasion of Jews in our land,' Hamas spokesman says. Hamas television has also confirmed the identity of the terrorist - who was shot and wounded by police, but is not dead, as initially reported in the press - as 21 year-old Abdelrahman Shaludeh of Shiloach (Silwan). Slodi had previously served in Israeli prison for terrorist activities. The baby was later named as Chaya Zisel Braun, hy"d. The baby's grandfather stated that her parents had been "waiting for years" to have children and had been returning from the Western Wall (Kotel) when the terrorist attacked.